People need brands. And brands need people. Brands are cultural identifiers, a club we are apart of, a means of expression. Great brands transcend economic factors, trends, even time itself. People love their brands. Are you a Target person or a Wal-Mart person? Are you a Ford or Chevy? Mac or PC? Coke or Pepsi? Republican, Democrat or Independent? These choices define our brand loyalty. And that translates into lasting business success. Good brands aren't created by accident. Through brand strategy, design and a lot of heart, we help companies go from pitching products and services to creating icons and household names. Simply put, brand love. It's what we live for at Harrington Design Company. 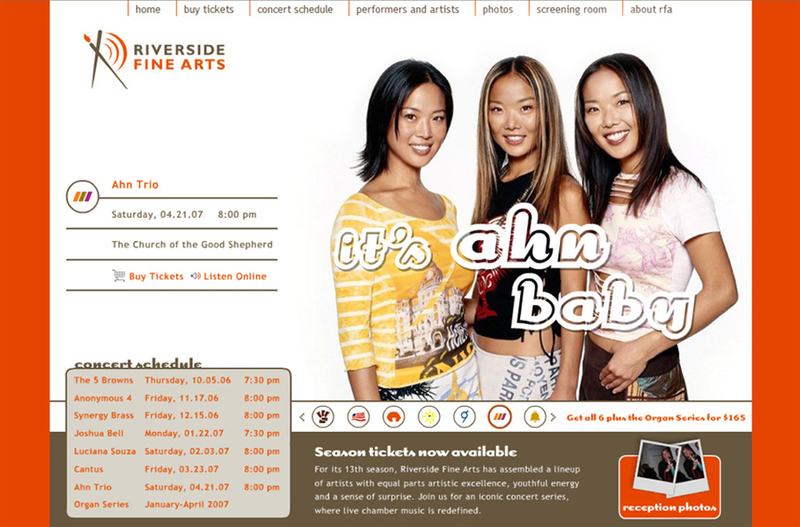 Online strategy and design for the Riverside Concert Series.